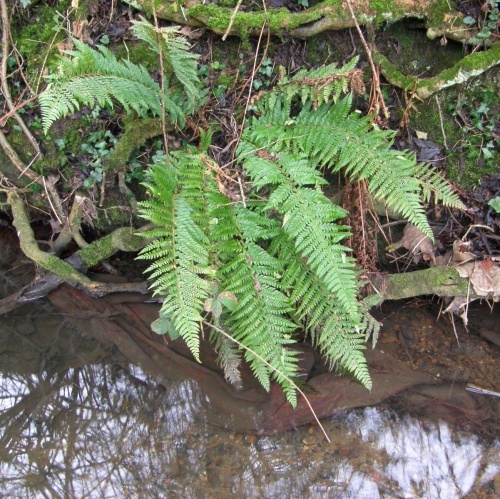 A bipinnate fern with pinnules that have sharply pointed teeth and spine-pointed tips. 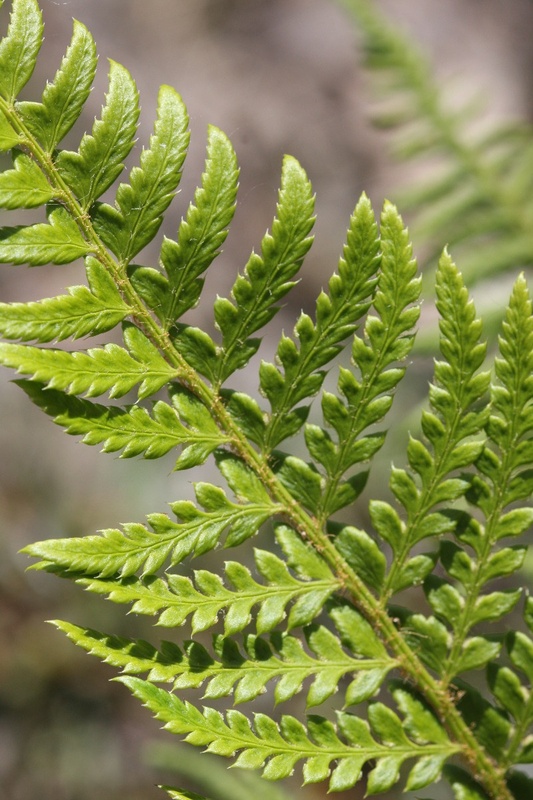 In Shield Ferns the pinnae nearest the stalk are 'mitten' shaped and in Hard Shield Fern the 'thumb' angles away from the stalk. Lowest pinnae much shorter than middle ones, tapering into the stipe. Leaves stiff. Pinnules mostly unstalked or with short "stalk" which is simply a narrowing of the pinnule. 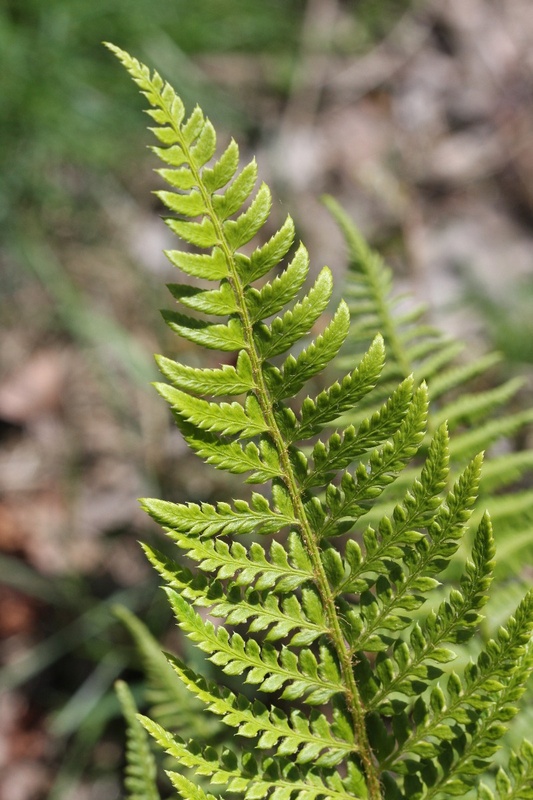 Much more shiny in appearance than most ferns, having a very sleek and classy look. 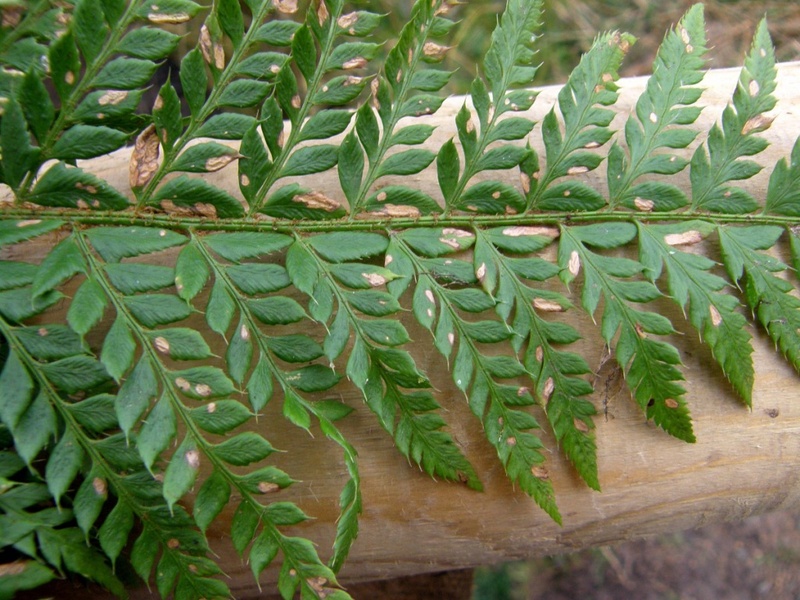 Fronds exposed to the light are sometimes pale green, but mostly they are darker green especially those in shady crevices. 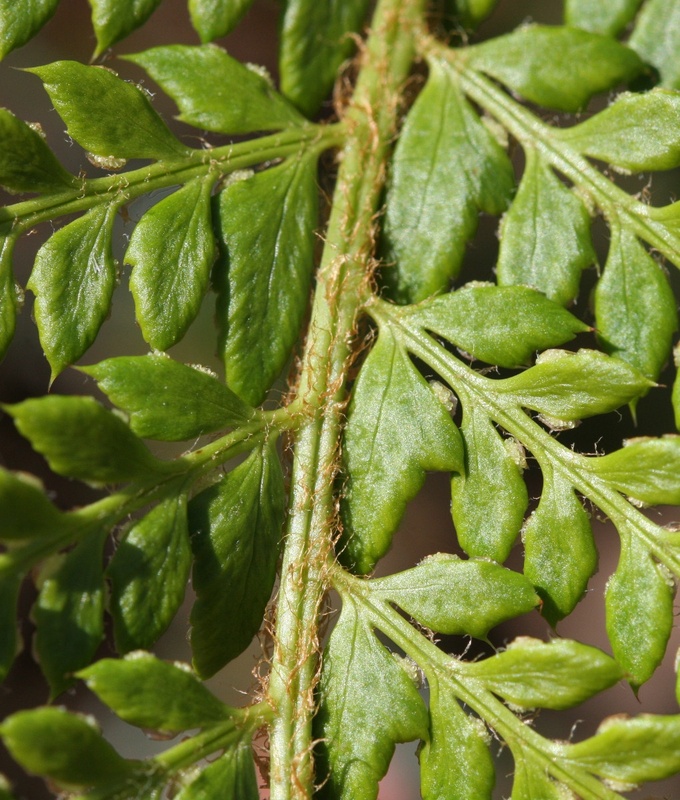 Soft Shield Fern also has mitten-shaped pinnules but here the 'thumb' is more rounded and is generally parallel to the stalk. Most commonly found on limestone rocks but also found on non-limestone rocks from time to time. 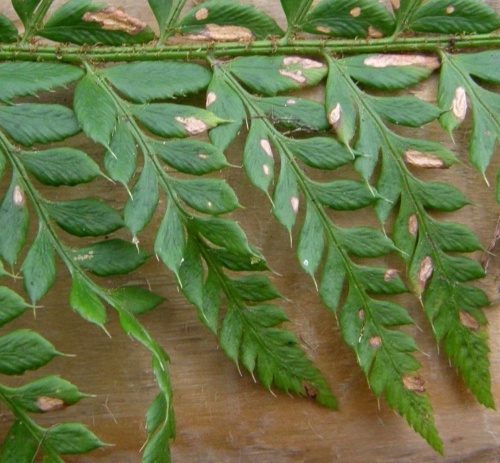 Spring to autumn - spores ripen in July and August. Widespread and fairly frequent in Britain, but never really common. Occasional but probably increasing in Leicestershire and Rutland. In the 1979 Flora survey of Leicestershire it was found in 20 of the 617 tetrads.